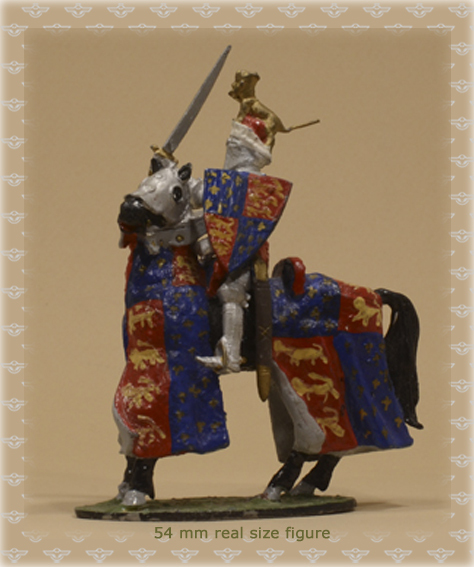 (1330-1376) Edward of Woodstock, son of Edward III of England and also called the Black Prince, was the first Duke of Cornwall (from 1337), the Prince of Wales (from 1343) and the Prince of Aquitaine (1362–72). Was an exceptional military leader, and his victories over Jean II of France at the Battles of Crécy (1346) and Poitiers (1356) made him very popular during his lifetime. 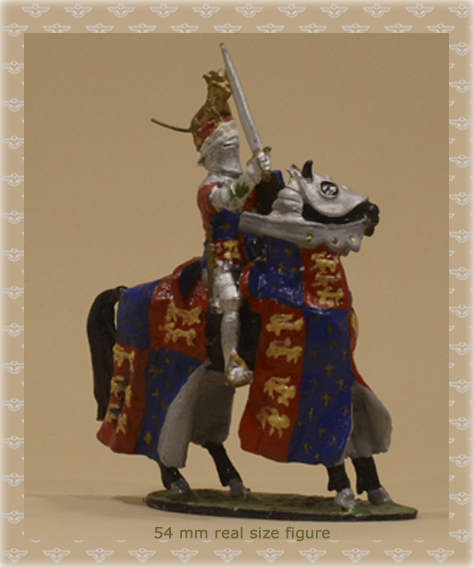 In 1348 he became the first Knight of The Order of the Garter, the oldest and most prestigious order of chivalry in the United Kingdom, of whose he was one of the founders.